My sisters are scrambling this year as they deal with a challenging drought at the family ranch. Checking weather apps on their cell phones has become as much a part of their daily routines as checking on the cattle and horses. 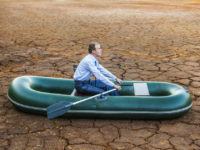 Many organizations are also dealing with a severe drought–a drought of job candidates with effective communication skills. Recruiters and HR leaders have noticed a steady decline in these skills for years and the forecast does not appear to be improving among incoming graduates and new hires; most say it is getting worse and it’s costing businesses to the tune of billions. Effective communication is like a good rain on grass; it creates life and growth! Just as grass withers without rain, so does an organization without effective communicators. Studies show that employee engagement levels are closely tied to the communication skills and capabilities of your people. Sadly, Gallup says only 13% of employees are actively engaged. This low engagement rate is costing USA companies between $450 and $550 billion per year in lost productivity! Recruiters and HR leaders are supposed to be your organization’s rainmakers; they are entrusted with bringing in the right people to drive your organization’s success. But, just as my sisters are now scrambling to find hay for the winter, so are recruiters and HR leads as they search for candidates with stronger communication skills. Of course, this is great news for those who have strong communication skills, and it spells opportunity for those who proactively invest in improving their communication skills. What are some of the key differences between poor and good communicators? Our team created the following list from our years of working with leaders and teams to improve their communication skills. This list is not necessarily in order of importance, although we do concur that listening skills are king! Listening skills unlock many other doors in the workplace. Poor Vs. Good Communicators – How To Spot Them! This list shows the qualities of poor versus good communicators; effective communication skills are in demand. Poor Vs. Good Communicators – More Ways To Spot Them! Our communication coaches identified these qualities of poor and good communicators based on years of working with teams and leaders. It is clear that investing in effective communication skills pays off – for job candidates and organizations. You can use the above lists of Poor Versus Good Communicators to help you increase your self-awareness and begin working to improve your communication skills today! If you could be interested in learning about options to improve your team’s effective communication skills, call us or reach out with this Contact Us form.